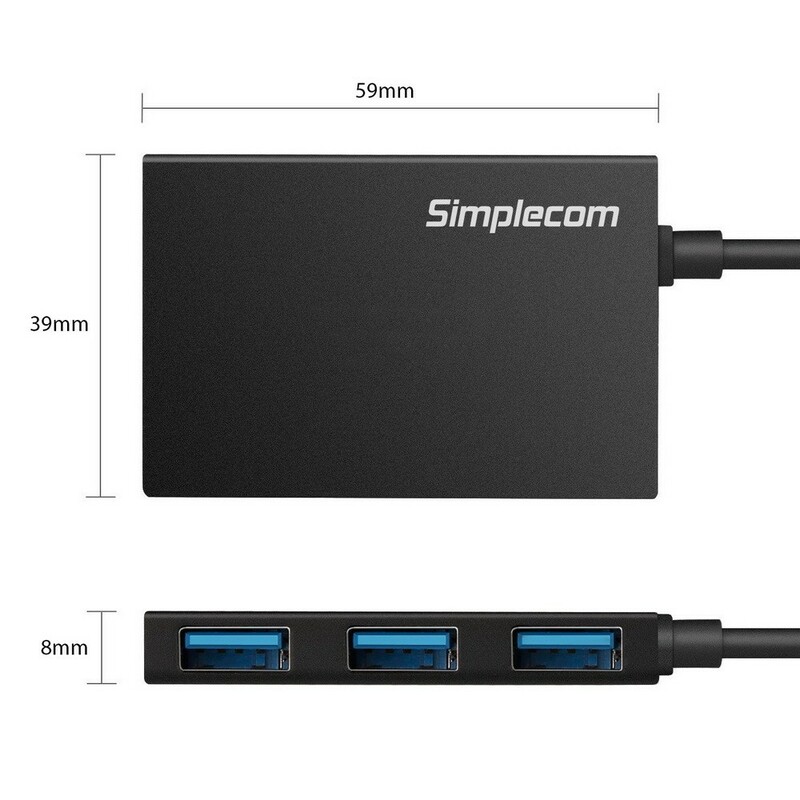 Simplecom CH351 is a 4 port USB 3.0 Hub that can easily connect your PC or Mac computers. 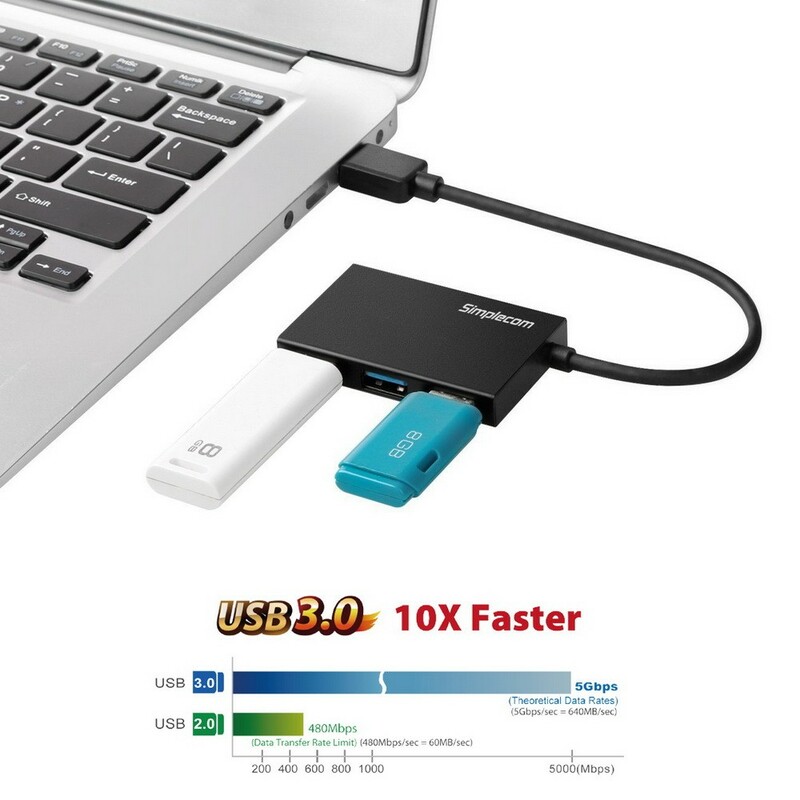 It's ultra compact with built-in cable, works best with portable devices such as Laptop, Ultrabook, Macbook, Tablet PC and small enough to fit a shirt pocket. 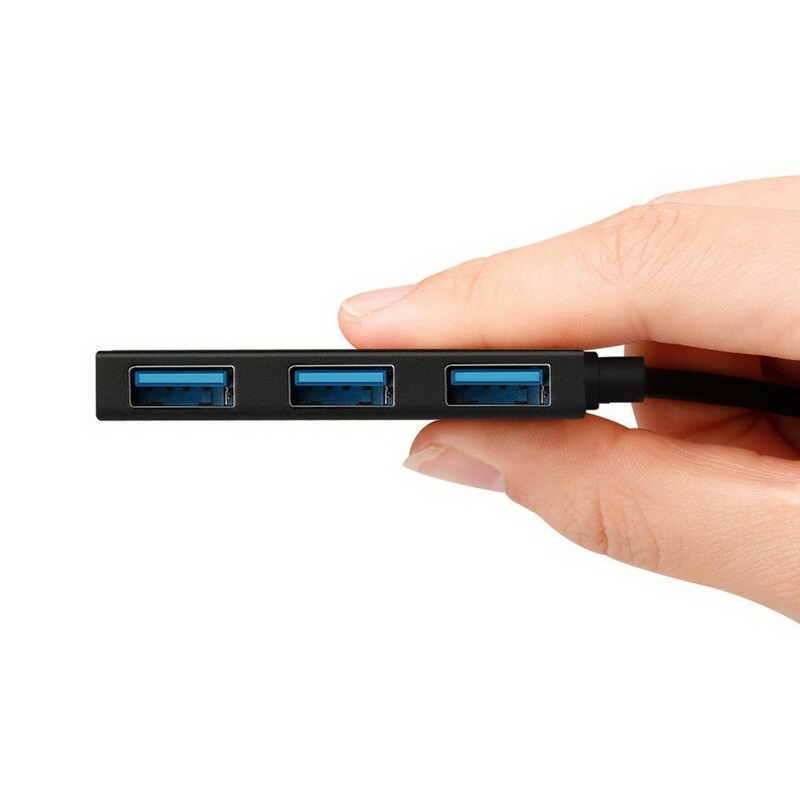 The sleek aluminium casing design pairs nicely with low profile Macbook and Ultrabook. 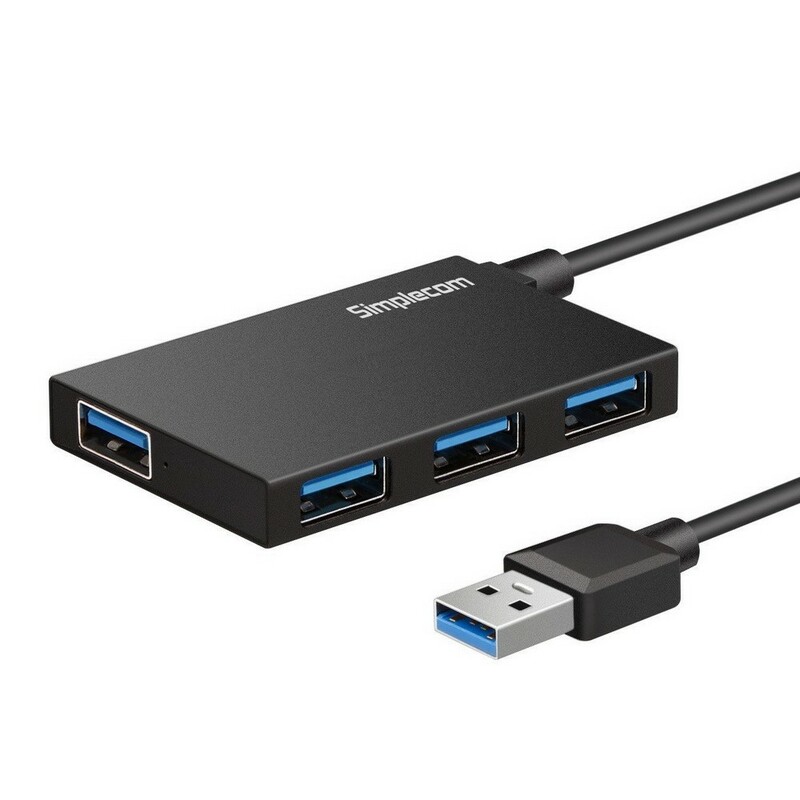 For a stable connection and work properly, avoid connecting high power-consumption devices, such as 2 or more external hard drives, this hub should not be connected to devices consuming combined current of 5 volts 900mA .